Women in media, black motherhood, and natural hair are all topics of conversation at this one-day festival where London's badass Black British women – their talents, achievements, and struggles – take centre stage. It’s the first festival of its kind to hit the UK and a hugely necessary addition to London’s cultural scene, with a sellout programme of events covering arts, music, literature and more. 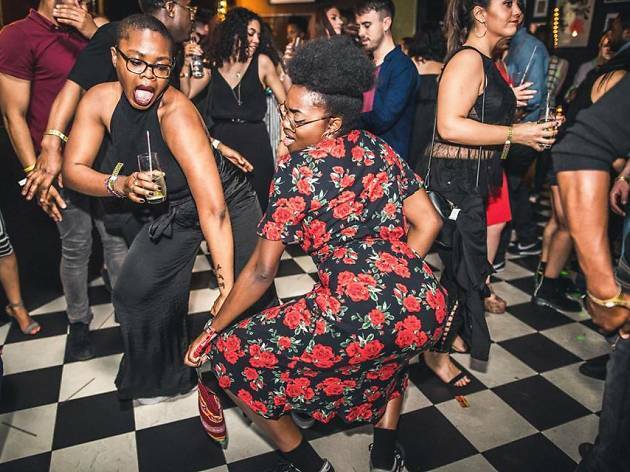 After a successful crowdfunding campaign, the organisers have decided to keep things free, which means you can spend your cash supporting black-owned businesses at the marketplace, food market and zine fair. Stick around for the evening entertainment, grab a drink from the bar and hear poetry from Vanessa Kisuule and Michelle Tiwo, followed by live music and a set from DJ Tone, gal-dem magazine and creative collective’s resident DJ, who will be bringing the festival to a close. Although tickets for the talks and panel discussions have all been snapped up, you can still join the waiting list for all events, including classes in life art drawing, zine-making and protecting mental health. Paula Akpan, gal-dem social media co-ordinator and co-founder of the ‘I'm Tired’ project, and Nicole Crentsil, founder of 'Unmasked Women', are the brains behind the festival. Black Girl Festival takes place at Kachette on Sun Oct 29. Register for your free ticket here. Can’t make it? Don’t worry, there’s plenty going on this week. I don't think that this photo is a reflection of what this event will be about. I'm certain that there are more positive images of black women that are available and could have been used. This image perpuates the stereotypical image of black women portrayed in the media i.e. booty shaking, hip thrusting and sexually uninhibited. We are so much more than that.